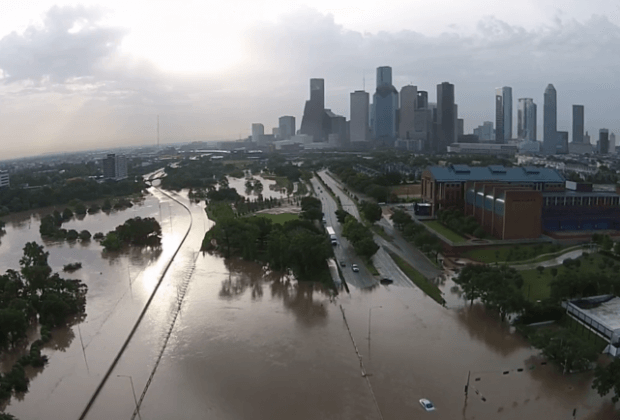 The heavy rains that pummeled areas of east Texas and caused significant flooding to areas around Houston and Dallas last month are expected to result in flood insurance claims that should break records. The flooding affected thousands of homes, vehicles and businesses, which means the potential for thousands of claims throughout more than 20 Texas counties. Some of the worst damage, and the largest number of claims, will be to homeowners, with hundreds of homes reportedly lifted off their foundations and destroyed and thousands of others being severely damaged by flood waters, and thousands of cars being destroyed in the floods. Unfortunately, because of the numerous limitations put on homeowners’ flood insurance policies, there is only so much one can do in order to protect someone who is relying on a government-backed flood insurance policy. Most homeowners flood insurance is offered by private insurance through what is called the WYO, or write-your-own, programs that were set up through FEMA in the 1980s. This was done to transfer management of the National Flood Insurance Program (NFIP) policies and claims to private insurance, to save on FEMA’s agency overhead and to spread the work around a little bit, and perhaps pay claims a little faster. This type of arrangement is very lucrative for the private insurers because they get to collect costs and fees and administer claims, while FEMA gets to pay. Unfortunately, while FEMA saves money and the private insurance companies make out pretty well, the homeowner is left with coverage that is quite limited, but not nearly as limited as their recourse should they not be happy with any part of the process. Because of the limitations, we typically don’t handle standard homeowners flood insurance policies, although we can handle some higher-end policies. If a homeowner has a dispute over a flood insurance policy, the dispute must be filed in federal court, and it is extremely rare for federal courts to allow recovery for many types of claims, including bad faith. 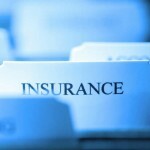 In fact, the law generally doesn’t allow for the recovery of bad faith damages and attorneys’ fees in a dispute over a flood insurance payment. While we typically don’t handle claims for most individual homeowners, we can and do handle problems people have with flood insurance on multi-family properties, such as apartment and condominium buildings. If you own a building with more than five apartments or condos and your claim is not handled properly by the insurance adjuster, or you believe someone has acted in bad faith somewhere along the line, we can probably help you. Also hard hit by the flooding were churches and synagogues. Often, making a claim can take a long time, and a church that has been working on a tight budget based on the amount they get in the collection basket every week can often feel pressured by the time it takes to process claims. When a flood causes serious damage to a church, all the congregation cares about is getting the doors open again, which can often mean approaching the insurance claims process in the most efficient and effective way possible and making informed decisions about the future of their church. We can help with that. Also hard hit were businesses throughout Texas, which means there will be a lot of attention paid to commercial flood insurance policies. Besides some commercial buildings that are total losses, there are also numerous reports of damage to parking garages and the lower levels of all sorts of commercial properties, including office buildings, shopping malls and strip centers. According to some reports, the Texas Medical Center was extremely hard hit, and saw extensive damage to many of its research labs. Most commercial flood insurance policies are also handled through the NFIP and those have some of the same types of restrictions as homeowners’ policies, but many businesses also carry excess flood insurance, which covers losses above the federal limit, as well as losses for such expenses as lost income and business interruption costs, which are not covered by the NFIP. Carrying excess flood insurance is a wise idea, but it also adds several other aspects to the claims process, and a business owner should make sure they’re making informed decisions and following all processes accurately. Excess flood insurance policies are often a lifeline for businesses hit by a natural disaster, and that is why we do handle excess flood insurance claims when the insurer fails to honor its agreement. These types of scenarios are being duplicated all over the eastern half of the state, which means it’s going to be a long, hot summer for those who handle flood insurance claims. It also means a lot of headaches for people who suffered losses during the flooding and who try to collect on claims. Because most Texas insurance companies no longer underwrite flood insurance, most of the claims are handled by FEMA, which means following very strict federal regulations and guidelines when filing claims, lest they miss out on collecting for their claims.